Holi festival is celebrated as Dol Purnima or Dol Jatra in Bengal. It is celebrated on Falgun Purnima, the full moon day in Falgun Month. Dol Purnima is dedicated to Lord Krishna and the festival is also celebrated as Basanto Utsav.Holi is celebrated with special importance in Mathura. This Dolyatra is a festival being celebrated from time immemorial. Legend has it that the great Lord Krishna expressed his love on the day of Dolyatra, to her beloved, Radha. 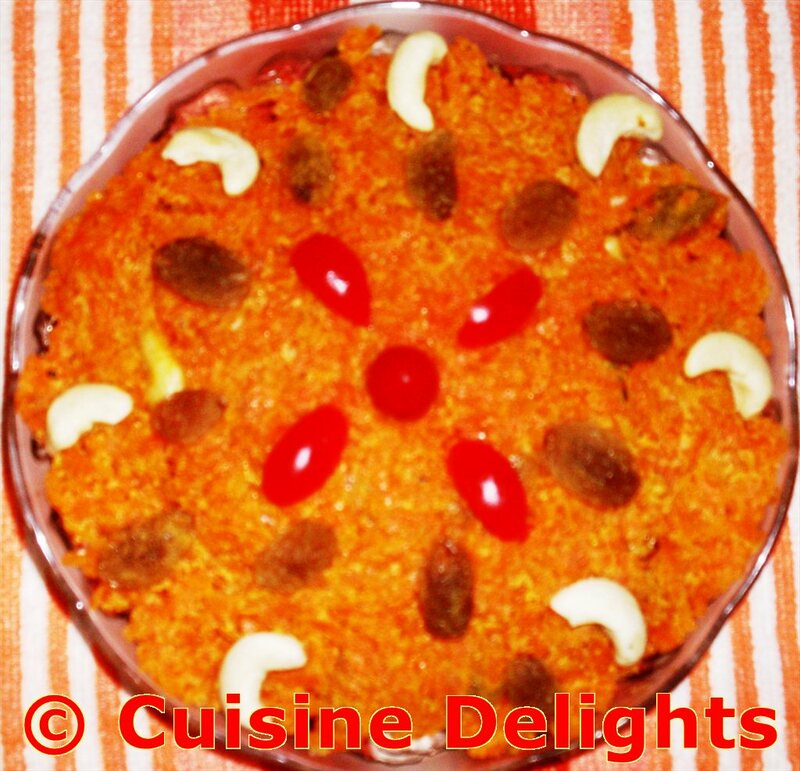 Gajar ka Halwa (Carrot Pudding) is a very popular and delicious dessert in India. Crushed Cardamom : 1 tsp. Heat a thick bottomed pan with ghee. 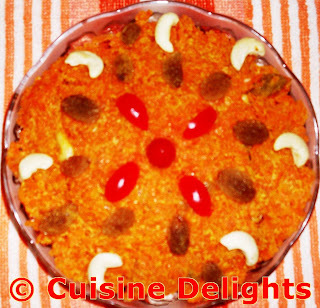 Add grated carrot and fry 10 mins, when carrot give fine aroma then add milk. Bring it to boil and then reduce flame. When it is started to boil then add sugar and stir continuously.After 5 mins add khoya. Mix it with halwa.When milk is absorbed then off the gas. Add the slightly crushed cardamoms and mix well. Garnish with cashew, raisin, cherry.